As we get older, losing our hair, or having it seem thinner than ever before, can become one of our primary beauty concerns. And it’s a no coincidence that it affects older women. As we get older, our eostrogen and progesterone levels drop – and with it, our bodies ability to grow long, thick locks. Often, it can feel like there is little help or cure, aside from vitamins and regular haircuts. But it turns out, that there’s a shampoo and conditioner which could be part of the answer. 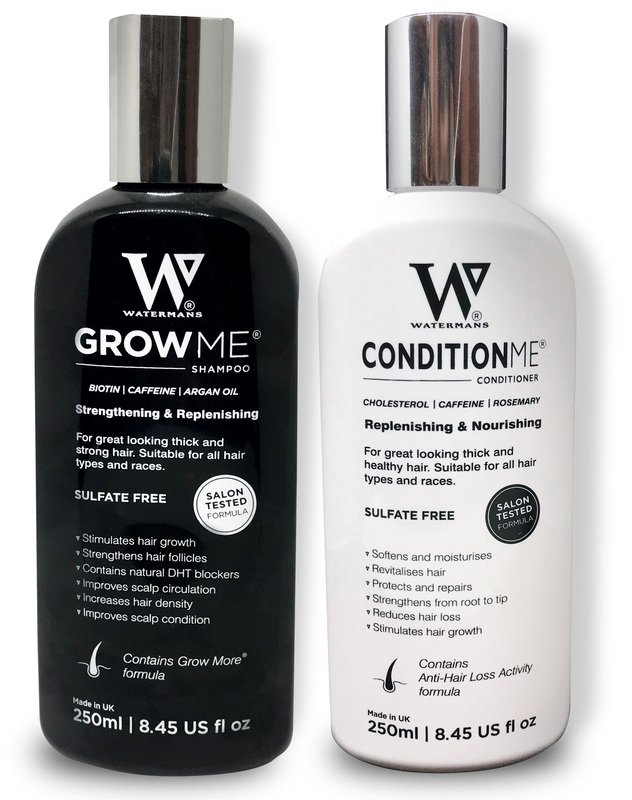 The Watermans Grow Me Shampoo and Condition Me conditioner has been formulated especially to target hair loss for men and women, and to help hair grow and feel thicker. And it seems as though the product really does work – have received a huge 408 5* reviews on Amazon. Customers have filled the reviews page with glowing praise, with many claiming that the shampoo and conditioner really have helped their hair grow, and stop falling out. One happer shopper said, ‘it really has helped my hair grow & stopped my hair falling out in the shower.’, while another also wrote, ‘Fantastic product, really works. After having my baby I noticed my hair would come out in clumps this has virtually stopped that and has helped it grow, plus it’s looking healthier than it has in a long time’. And a fourth said, ‘Really pleased with this definitely one of the better growth products, only been using a few weeks and starting to have little less hair falling out and feels thicker’. Some customers stated however that the products haven’t had much effect on their own hair, but of course it’s inevitable that different hair treatments will have a range of effects on different people. But luckily, if you want to give it a go, the product is pretty affordable. At £24.95, it’s perhaps more expensive than your normal shampoo – but if it works in the way the reviews claim, we’re willing to try it! Will you be picking some up for your next shower?